The International Postgraduate Research Scholarship (IPRS) is available to any international student wishing to undertake a Higher Degree by Research at Curtin in 2013. Eligibility: This award is open to citizens of an overseas country (excluding New Zealand). Scholarships will be awarded on academic merit and research capacity to suitably qualified overseas graduates eligible to commence a higher degree by research in 2013*. Please refer to the Guidelines for Higher Degree by Research Candidates for information on entry requirements at official website. Overseas Student Health Cover (OSHC) for the recipient and their dependants for the duration of the award. In addition, all successful applicants will receive an Australian Postgraduate Award (APA) valued at $23,728 (2012 value). This tax-free stipend is indexed annually. 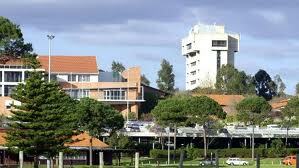 Tenable at: Curtin University to undertake a full-time Master’s by Research or Doctoral degree in 2012. Criteria: Students who have commenced the degree for which the scholarship is being sought are ineligible to apply. Demikianlah informasi mengenai International Postgraduate Research Scholarship, Curtin University, Australia semoga berguna bagi anda.